Five of the nine boys on QE’s debating team for the national session of the European Youth Parliament have qualified for the international round of the competition. The five were chosen after strong performances at the national session held over a long weekend at Liverpool Hope University. 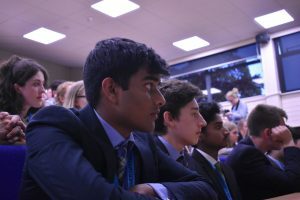 They had reached the national event after previous success at the EYP South East forum, where they were chosen to go through, together with teams from two independent schools, St Paul’s and Guildford High. The national session programme began with team-building activities on the first day, followed by the various committees forming resolutions on the Friday. At the General Assembly, held all day Saturday and on Sunday morning, the committees debated the resolutions. 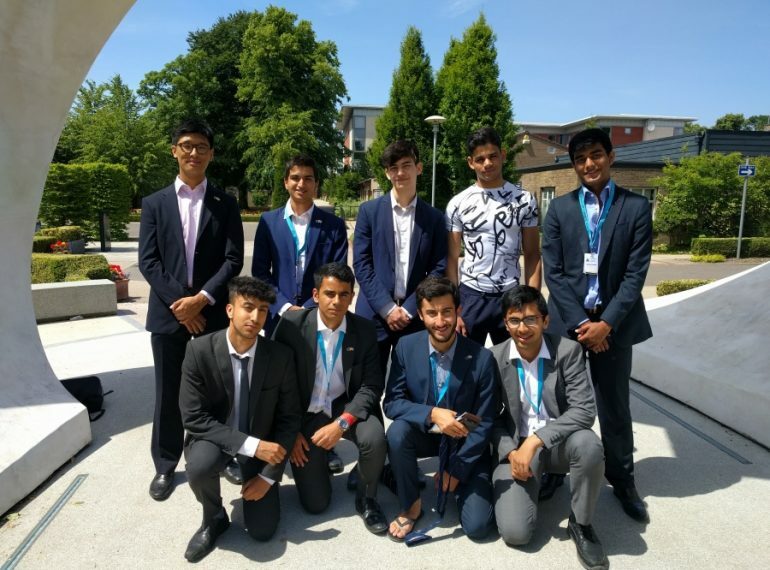 The QE boys, all from the 2017-18 Year 12, were representing Italy, with the team even asked to bring along Italian food for themselves and their fellow competitors in the ‘Eurovillage’. 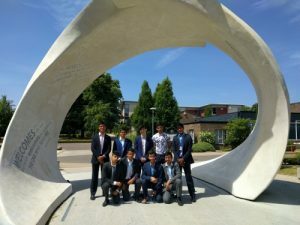 The team comprised Ibrahim Al-Hariri, Parth Gosalia, Shivam Masrani, Laurie Mathias, Aditya Ravindrakumar, Mipham Samten, Akshat Sharma, Anake Singh and Mudit Tulsianey. Ibrahim, Aditya, Mipham, Akshat and Anake all qualified for the international stages, which start next month. The QE contributions included Mipham playing a key role in steering the Internal Market and Consumer Protection Committee, which was debating distributed ledger technology – databases that can securely record financial, physical or electronic assets for sharing across a network through entirely transparent updates of information. (The first incarnation of this was ‘Blockchain’, which underpinned digital cash systems such as Bitcoin, but it has now evolved.) 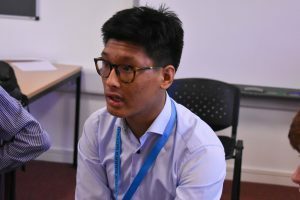 In his final summation, which Miss Davies described as “very persuasive and engaging”, Mipham called on the committee to embrace, rather than fear, progress – we no longer ride horses to school, he pointed out! Such technologies should be regulated in a pragmatic, open-ended way that allows the technology to develop, he suggested. 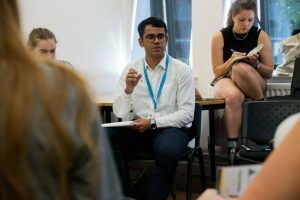 For his part, Ibrahim gave an opening speech to the Committee on Security and Defence, which was debating the measures European nations should take to prevent the recruitment and radicalisation of terrorists. 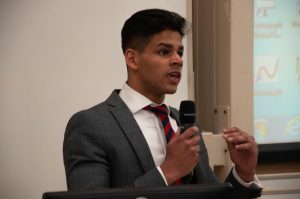 Among the points he raised were the importance of a lack of social inclusion as one of the biggest causes of radicalisation: people in prison are particularly vulnerable, he stated. Another group vulnerable to radicalisation is young people, since they are especially open to new ideas. It was, said Miss Davies, a “clear, well-structured speech which opened up the floor for an interesting debate”. Other topics covered in the General Assembly session were European–Russian relations. Anake said European nations should recognise in their dealings with Russia that President Putin is becoming a dictator, showing similarities with Lenin and Stalin, and that consequently stronger sanctions on Russia were necessary.